In 2010 the IC of Luxembourg made the first step as an IC organization into philanthropy. It expanded a program organized by Sport sans Frontières (SSF), a french ONG, by adding tennis to other sports in the SSF program in Burundi. 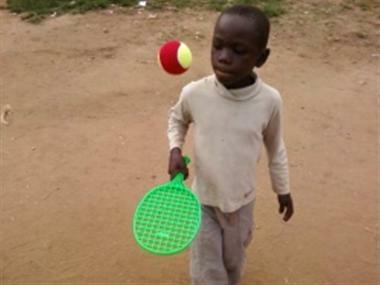 An ITF coach taught young Burundian tennis players and school teachers to hold tennis lessons for street kids at the tennis club of Bujumbura. The IC council made a major contribution by shipping equipment to the local tennis club. The tennis program was coordinated by IC Luxembourg with the financial contribution of Banque de Luxembourg. Since 2016, the IC of Luxembourg supports the TDKET initiative in Ethiopia (www.tdket.com).